Hi Kids! If you see a bad clown like me on Halloween, run in the opposite direction. 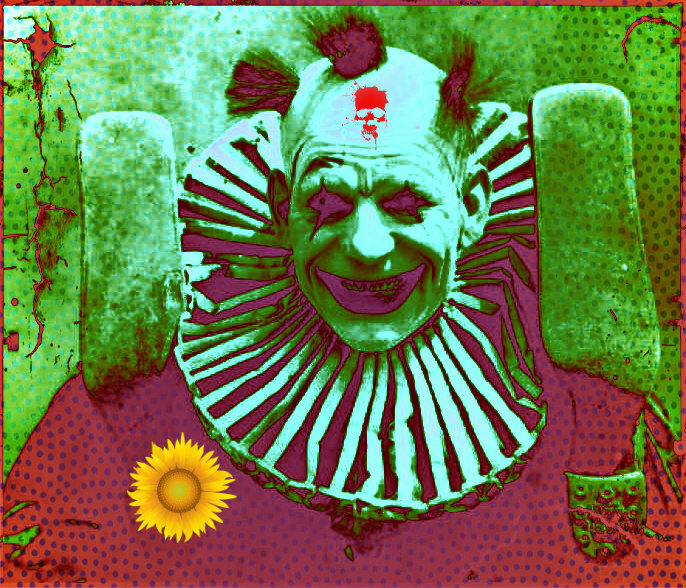 Moorhead, MN – As a public service in the name of survival safety, the infamous clown named Uncle Screwball (who is best known for freaking kids out) wants to warn parents and children to stay away from any scary-looking clowns around Halloween time. Uncle Screwball not only wants to warn trick-or-treaters to avoid himself, but also some of his scary clown friends who also fall into the category of dark, bad, and twisted. “It would be best to avoid: Doctor Loopy, Ga-Gonzo, Mr. Wacko, Nutso Job, Loony Brain, Big Bonkers, and Krazy Kook,” according the the admonishing Uncle Screwball.